Between February and May 2018, SPRING conducted a landscaping study to explore the lives of adolescent girls in Myanmar. Employing a range of qualitative and participatory approaches, the research endeavoured to complement insights from earlier literature reviews. The resulting report represents this effort to understand girls’ lives in context – through their eyes and their aspirations. 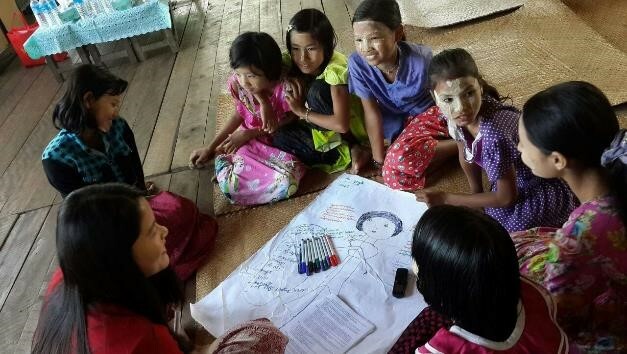 While rich in detail and grounded in locally led research, as with any research it cannot definitively capture and represent all the experiences of the numerous and diverse girls living in Myanmar. Nonetheless, we hope that by listening to girls and their parents, this report can provide a window into girls’ lives and be a catalyst for future work to understand girls, meet their needs and support their aspirations.